Now it is time for the bad boys, half a year after E3 and one of my favorite accessories from the show is finally available. 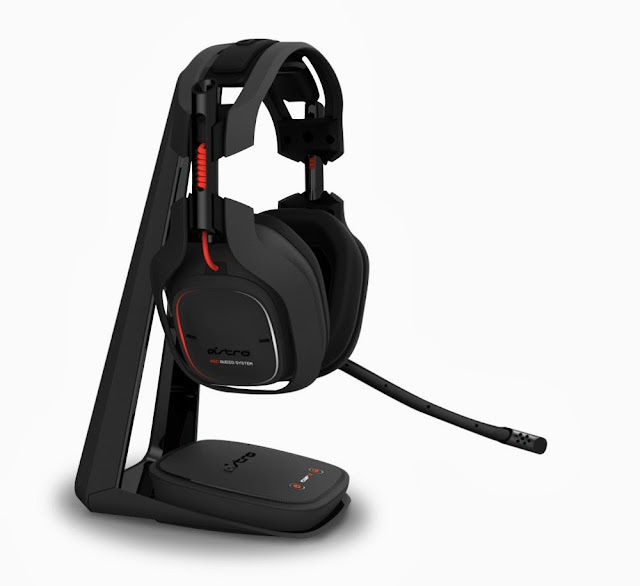 The highly coveted Astro A50 wireless headset is the product at hand and this next level headset is out right in time for the next gen consoles. 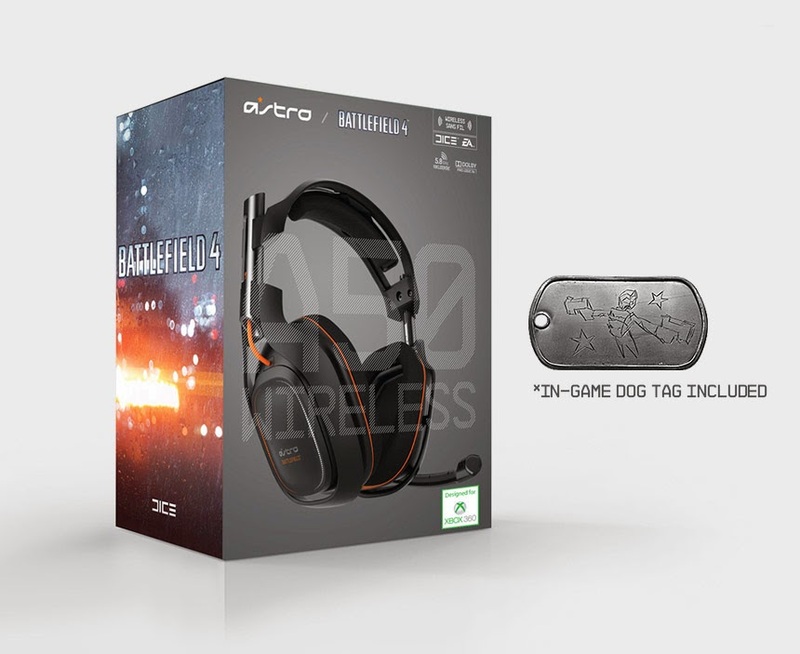 I had received the A50 Battlefield 4 Edition, which sports a black and orange look with the Battlefield labeling and should Battlefield not be your flavor, the standard A50's are also available in black and red. Quite possibly the largest difference between these and the previously reviewed A40 is the elimination of the cord and 7.1 Dolby Digital Surround Sound. After spending a week on the PS4, playing the games how they should be, loud, let's see how those trying to sleep through this experience felt about the Astro A50. 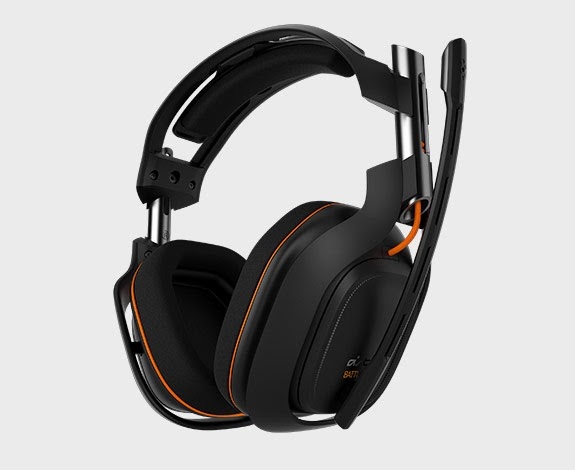 I did say that these were being used on the PS4 so fret not as the A50 can be used with both current and next gen consoles. The set up is incredibly simple and wires are kept to a bare minimum. Literally just an optical cable and a USB cable to use, granted to charge another USB cable is required and a cable to connect the headphones to the remote. The sound on the other hand is amazing, regardless to the game, and with three audio presets it is easy to select a mode to your liking whether bass heavy or treble heavy or somewhere in between. The Dolby Digital Surround Sound is superb, particularly when playing multiplayer games like Ghosts as it is easy to hear where shots are coming from and people trying to run up on you from behind. The fit is almost as good as the sound as the A50 is comfortable for long periods of time without squeezing my skull. I did however notice that if I moved my head quickly, they sometimes moved forward or backwards, but for the most part the over ear cups did a solid job of keeping the headset in place. When speaking to other teammates or rivals, they picked up everything I said clearly and I was able to hear others in the lobby with no loss of connection. 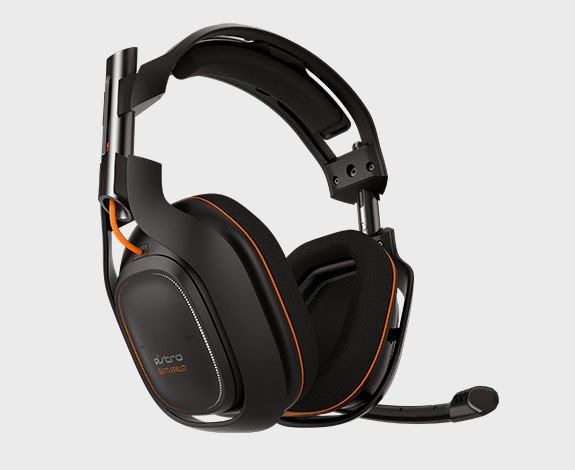 The Astro A50 is a superior next gen level headset for both current and next generation gaming. The cutting of the cord is almost as great of a new feature as the clear and detailed 7.1 Dolby Digital Surround Sound. What I found amusing was that the the packaging states built for the XBox 360 and while this may come from the fanboy in me, I found my experience with the headset playing online on the PlayStation much more convenient. Because the A50 is compatible with both of Sony and Microsoft's consoles, these are easily the last headset you will ever need, my only complaint was that with the price tag of $299.99, I wish some sort of case was included for portability.